Dogs inspire us! I now know and believe that animals, just like people, show up in our life when we need them most (even when we don't know we need them). That's how it was for us and Toby. 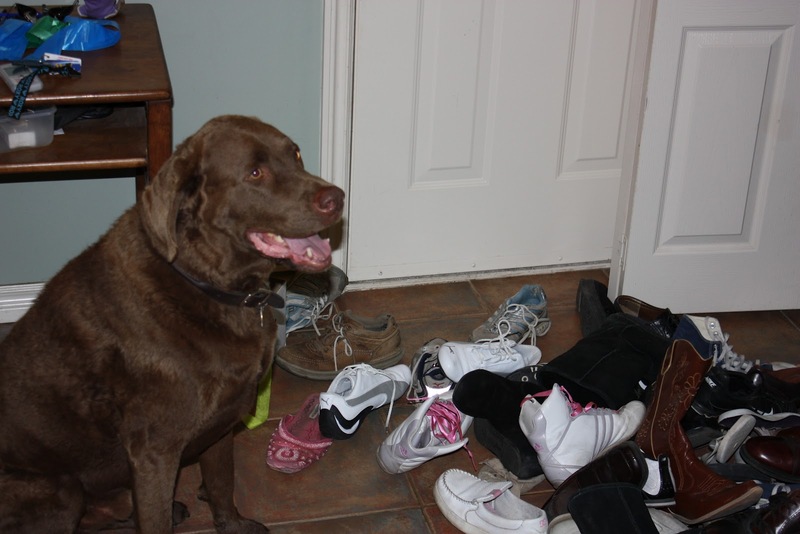 This gorgeous Chesapeake Bay retriever showed up in our life, when we needed some change. Not only did he shake up our world and toss it around, he inspired a lot of growth and change (and some new renovations to the parts of the house he destroyed). Toby looking very proud after he emptied the closet. 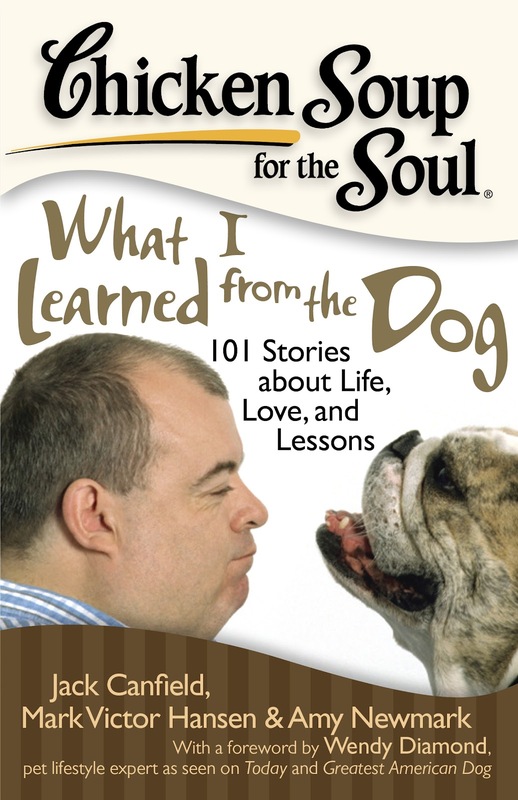 His turnaround from the dog that rearranged furniture, emptied our closets, broke toilet tank lids to the dog that brought joy and laughter to those in the hospital (as a pet assisted therapy dog) was so inspiring to me I wrote a story called Volunteering from the Heart for Chicken Soup for the Soul (It is Story number 72). ﻿Going on book tours with Toby, and our continued lessons of love, life and purpose inspired me to write On Toby's Terms, which is in development to become a major motion picture! How exciting is this!! Literally, Toby has gone from the doghouse to the big screen! Our journey with him has not only inspired us, but has impacted thousands of children and adults around the world. Just like a giggling child can bring a smile to your face, so can an animal. How many times have you smiled at a dog walking past you on the street with his owner, or the dog who has his head hanging out the car window- pink floppy tongue flapping about in the breeze, or the cat who is peering out the window of your neighbor’s house while soaking up the sun sitting on the back of a couch. For these brief moments, animals can take us away from the busyness of life. They help us to be present. Animals can be healers, reduce stress levels, minimize anxiety and provide therapeutic value in many health and educational environments. They accept humans unconditionally, which is a benefit in the healing journey. 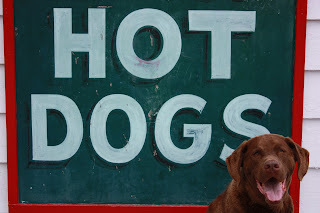 Our dog Toby, a Chesapeake Bay retriever provided me the gift of witnessing the richness that a dog can bring to another human through unconditional love. Toby made the dog Marley (from the movie Marley and Me) look like a saint. We adopted Toby at age five from a local animal rescue organization, and shortly thereafter discovered that that he came with his own baggage and issues, which included breaking toilet tank lids, rearranging furniture, opening and emptying closets and hiding things, on an almost daily basis. Choosing not to give up on Toby, we called for help. Maggie a local and highly qualified K9 Behaviorist and Trainer discovered that Toby was a dog who needed a job. 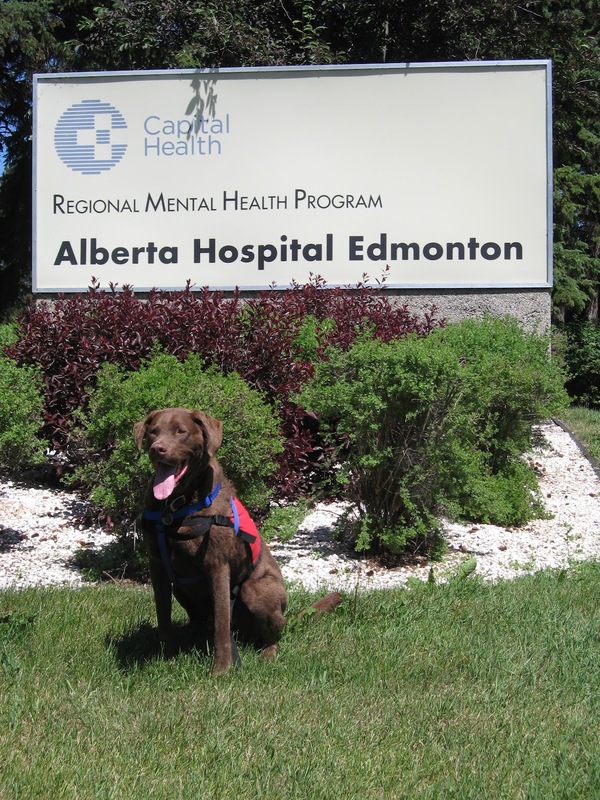 Toby became a Pet Assisted Therapy Dog at a mental health hospital. While his role was to provide support in the recreational and therapy program, it also became therapy for the therapy dog. His behavior improved greatly at home. Every Wednesday for 4 ½ years he stepped into his purpose- he visited with patients offering unconditional love, 100% focus, and trust. The impact on patients varied from patient to patient. Toby’s presence on the unit (and his loud bark to announce he had arrived) brought patients out of their rooms, the general mood, and energy on the unit increased. Patients became more social with one another during the visits with Toby. In many ways, this dog acted like a connector, he brought people together, and, his presence became a safe topic of conversation. His desire to entertain the patients (through his ¾ summersaults, tossing the ball at patients to play fetch and sitting with his head on their lap) also encouraged laughter. And we all know that laughter reduces stress hormones and has a positive impact on health. There is a lot of research to substantiate that pet owners live longer and healthier lives. They are often more physically active because their pets require that of them. In fact, Dr. Dawn Marcus, a neurologist who is involved in pet assisted therapy through her dogs, has done extensive research on this very topic. Dr. Marcus also reported that animals can also reduce anxiety, assist with focus, improve the immune system, and provide extensive therapeutic benefits to healing. Toby’s work has been chronicled in Chicken Soup for the Soul- What I learned from the dog (Sept 2009), in a story titled Volunteering From The Heart. Shortly after I wrote On Toby’s Terms,(Bettie Youngs Books, 2010) which is being turned into a major motion picture. Toby’s children’s book was released in 2011 Toby The Pet Therapy Dog & His Hospital Friends (Bettie Youngs Books, 2011) teaching children lessons about friendship, kindness and helping others, and how a pet therapy dog can make a difference. The patients that Toby worked with at the hospital and the thousands of children that he met in schools experienced the benefits of a therapy dog’s whose mission in life was to leave pawprints on hearts everywhere he went. Recently I had the opportunity to be interviewed by Dr. Jim Sutton, of the Changing Behavior Network. This was my second interview; the first was about my book Bounce Forward. This radio interview was about my book On Toby’s Terms, and the story of Toby, our dog. 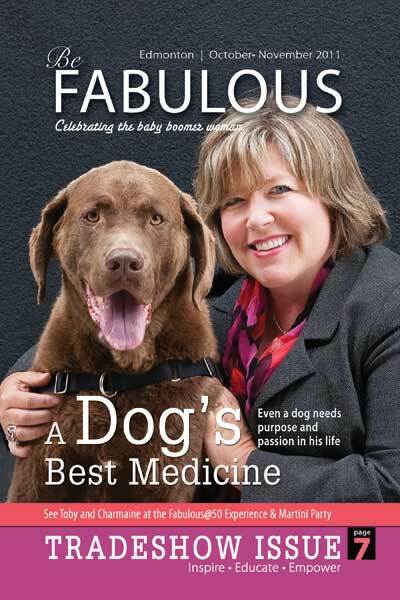 I love to share Toby’s story, some of my greatest lessons in life came through this incredible dog. The interview with Jim actually brought me to tears at two points. His questions and the way he summarized key points from the story were so eloquently phrased and tugged at the heart- and made a connecting bridge between the author, the listener, the interviewer and the story. At one point in the interview Jim read from my book. As an author, hearing someone read your words aloud is incredibly impactful. Our discussions about the lessons learned from changing our dog’s behavior through training and a volunteer job as a pet assisted therapy dog helped provide tips for changing our own behavior as people. For example, with Toby, we knew we needed to be patient and work with him, that change would not be overnight. The same applies to humans, as much as we would like change to be fast (and relatively pain free), it takes time and effort. We also talked about persistence, and not giving up. As with the wise words of Winston Churchill “We will NEVER, NEVER, NEVER give up!" Toby's Books Are On A Blog Tour! How cool is this? Toby's books are on a virtual tour.... A Blog Tour! Check out the three fabulous review and tour postings (and the great photos of little Toby fans and happy readers). 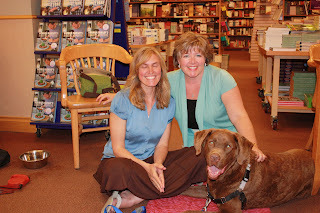 Kerri also got to meet our precious Toby, at a booksigning in Burlington, Ontario Canada this past summer. And what fun they had! I certainly noticed this with our dog Toby on many occasions. He seemed to intuitive and connected to people that he often reacted not to what we said but to what had changed or what was being communicated emotionally. Kerri explained that animals are who they are all the time, unlike people who often act differently or have a different intention or expectation than the one they communicate. The saying goes: when the student is ready the teacher appears. Can the teacher be a dog? This was a question I was asked on Linnaea’s radio show. I love the question, and I think the answer is YES. Maybe even HECK YES! One of my teachers was our dog Toby. What lessons have you learned from a pet? I'd love to hear how they have impacted your life. That’s how it was for our dog Toby and I. Christopher, my husband, showed me Toby’s picture on the NASAP adoption website, and I saw this big happy face, gorgeous brown eyes and the biggest pink tongue I had ever seen. It was love at first sight. We applied for the adoption of Toby and were delighted to welcome Toby into our family. In my book On Toby’s Terms (http://www.ontobysterms.com) I talk about the interesting time we had adopting Toby and what happened when we brought him home. This seemingly perfect dog turned into quite the incorrigible dog breaking toilet tank lids, turning water taps on and routinely emptying closets and rearranging the furniture. Getting Toby a job, a purpose helped us rechanneled his energy and put it to good use, spreading kindness and joy wherever he went, including the hospital where he volunteered for 4 ½ years as a pet assisted therapy dog. Toby became a teacher for us, teaching us about unconditional love, patience, persistence and the importance of trusting your pet. Last week I read this on Facebook “The real reason animals don't talk, is because they understand so much.” The quote really resonated for me because during the wonderful years we had Toby, our Chesapeake Bay retriever we learned so much from him. We learned early on that this dog was a lot smarter than we gave him credit for, and once we figured that out, life got a little easier. Toby’s ability to “read” his environment was uncanny, this became particularly evident during his hospital visits, he visited as a pet assisted therapy dog with Chimo - http://www.chimoproject.ca/chimo/ and was placed at Alberta Hospital Edmonton. He seemed to know exactly what the patients needed from him and acted in such a way that built trust with them. Until next time… remember, our pets understand a lot more than we think they do! I believe that many are! Our dog Toby was a pet assisted therapy dog through a local organization, http://www.chimoproject.ca/chimo/, for over four years. He volunteered every Wednesday with patients at Alberta Hospital Edmonton. Wednesdays were clearly the highlight of Toby’s week, and also for many of the patients he worked with. An interest in caring for Toby (made him dog treats, helped with brushing him on visits, and made him birthday and anniversary cards. Toby in many ways was a stress relief and a healer for those he met. There are also dogs (and other animals) that volunteer in reading and literacy programs, group homes, counseling programs, seniors’ facilities to name a few. Animals have the ability to provide love, comfort, joy and unconditional love which can deeply impact a person’s healing and wellness. http://www.youtube.com/watch?v=I0eEpYp0UjE&feature=g-all-u&context=G234743dFAAAAAAAASAA as CHIMO staff Danielle talks about Toby and his job. Toby was a rescue dog, from NASAP http://www.nasap.ca/, and was five years old when we adopted him. 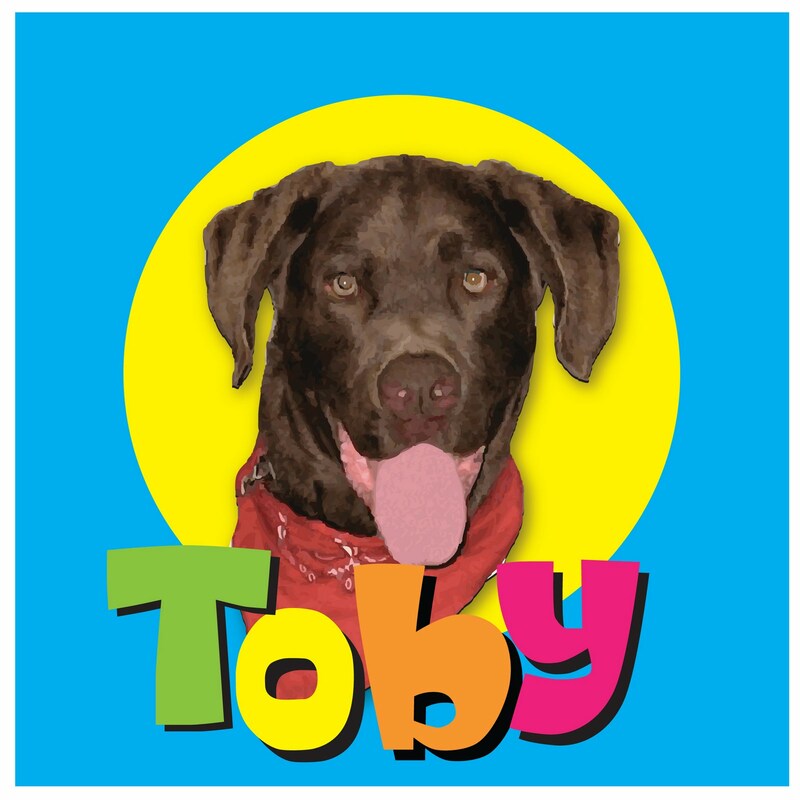 We have enjoyed being able to support rescues through hosting book and speaking events and joint fundraisers, drawing awareness to their cause, and sharing Toby’s phenomenal story. He is a great example of a rescue success! Here is one of the first photos of Toby when he joined our family. 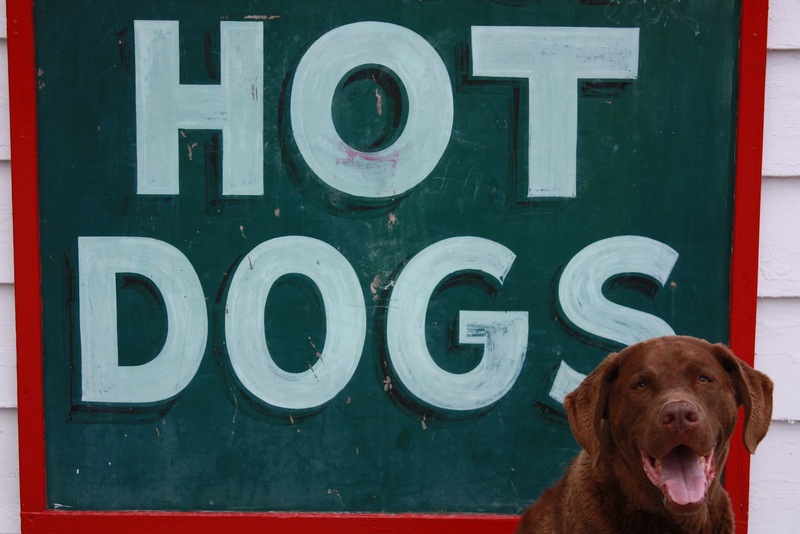 He was a dog who lived life big…. And of course On Toby’s Terms. Dogs Can Improve Your Health! Dogs truly are man’s best friend! According to Dr. Dawn Marcus, a neurologist and professor at the University of Pittsburgh, spending time with our pets, and pet therapy dogs can have a significant positive impact on our health. 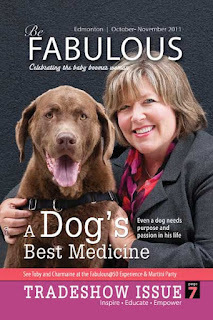 Dawn was a guest on my March 30/12 PAWsitive Radio Show, and shared that therapy dogs are often placed in schools, reading programs, older people, in hospitals and group homes. One of Dawn’s dogs volunteers as a pet therapy dog in a children’s reading program, and her other dog volunteers doing hospital visits. Like our dog Toby, her dog benefitted from the variety of visiting with people, moving about the unit, and having different activities. Therapy dogs can have a significant impact on the people they visit; Dawn shared a beautiful example of a child in the reading program who demonstrated huge improvements after reading to Dawn’s therapy dog. There are health benefits that can result from relationships and visitation with dogs. Dawn’s research in outpatient clinics (with patients and staff) involved having outpatients visiting during the wait time with a therapy dog. The research indicated that attitudes improved; there was less stress during the waiting times (for staff, patients and those travelling with the patient). Dawn’s research also demonstrates that interactions and visits with therapy dogs can positively impact patients dealing with chronic pain. For example, ¼ of patients had a clinically meaningful drop in pain as a result of spending a short time visiting with the therapy dog. The study also showed a 40% anxiety drop, and a significant drop in fatigue and stress. 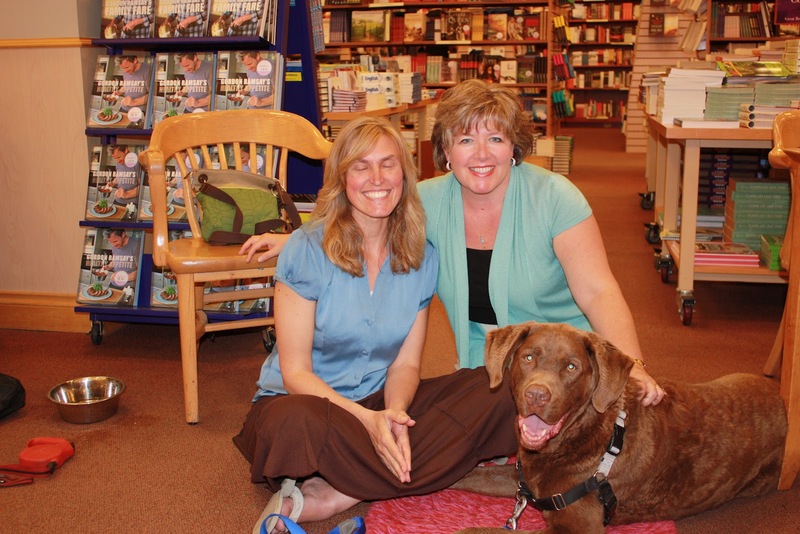 Dawn provides the science behind the terrific stories about pet therapy dogs. Also important to note is the significant drop in stress hormones, the increase in the body’s natural pain killer endorphins, and improvements in your immune system --- all from petting a therapy dog. It truly is a therapeutic intervention. The work of therapy dogs and their owners and handlers is making a difference! Pets are great connectors. You would not believe the people we have met because of our dog Toby. Dawn talked about the same experience with her dogs. Pets help us create routines, consistency and get us up, out and moving about. Toby’s favorite toy was The KONG. Just hearing the word would set Toby into high gear running around the house or yard searching for one of his Kongs. 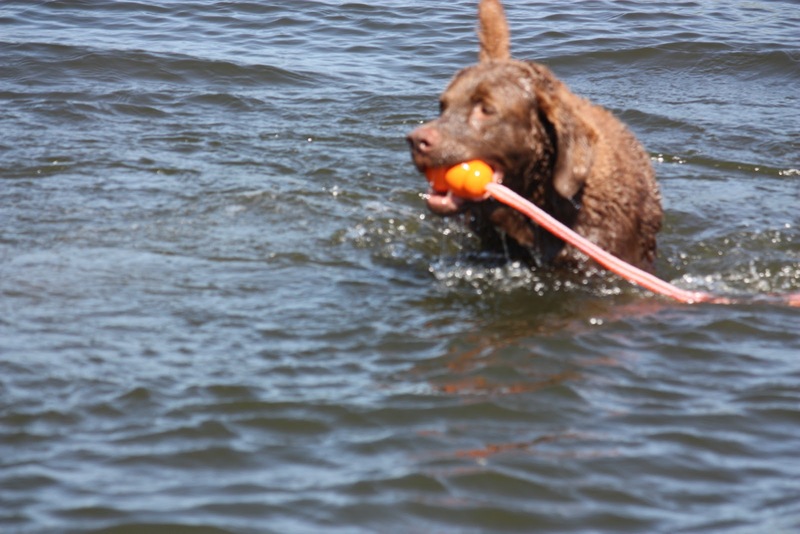 His favorite was the bright orange floating Kong (which we loved too, because we never had to run into the lake and retrieve it after it sank). Watching Toby with his Kong was a great reminder for me about the importance of focus on goals. When Toby was focused on his Kong, nothing around him seemed to be as important. He was able to maintain focus and ignore the distractions, something that is important for us, especially those of us distracted by BSI’s (bright shiny objects).